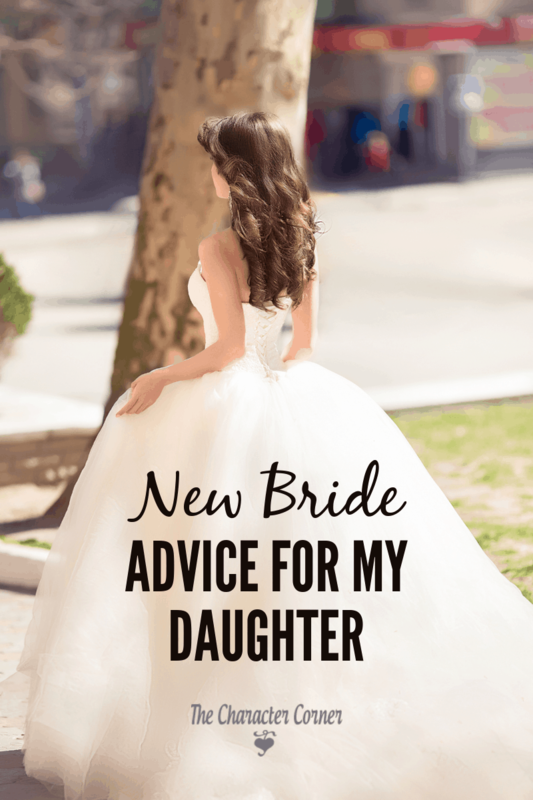 When we had a wedding shower for my daughter we asked all the ladies who attended to write a short bit of new bride advice for my daughter. I was busy kind of leading things at the shower, so I didn’t write anything. When we got home and she was reading the advice given, my daughter asked me where my bride advice was! I don’t claim to be an authority on marriage, but after 40 years of being married I know from experience some of the things that are important to do or NOT do. 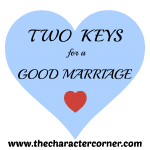 I am sharing some of those thoughts, as well as some bride advice I was given that has helped me over the last 40 years of marriage. These 25 tips for a lasting marriage are good for us at any season of our marriage, and something we need to be reminded of often. 1. Keep Christ first in your life, and in your home. He will guide your thoughts, and His Word will give direction when needed. 2. Pray together every night before going to bed. This creates a oneness and closeness of spirit as you bring your needs and desires before God together. 3. Set a positive tone when he comes home after working all day. Be happy, so he’s happy to come home. Smile often, and do what you can to maintain a pleasant mood about you so that it transfers to your home. 4. Realize that you won’t agree on everything, and learn to compromise. 5. Be excited about the things he is excited about. 6. Show interest in his work, and ask how his day went, etc. 7. When you are tired or don’t feel well, don’t be crabby. Instead sweetly express how you feel. 8. Don’t go to bed angry – EVER. 9. Don’t EVER say anything bad about your husband to ANYONE. 10. You should each choose a person to go to for individual counsel when you are struggling. Your spouse should agree on the choice that you make and be comfortable with you talking to that person. This could be a parent, pastor, older couple, etc. but should be someone who has had a successful marriage for a long time – not a newlywed! 11. Don’t be too proud to ask for help/counsel when you are struggling. It’s normal to have problems in marriage as you learn to adjust to living with another person. 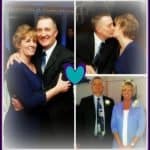 The couple that makes it is the couple that gets help rather than letting the problems build up. 12. When you are feeling irritated at him, stop and pray for him. Thank God for all the good things you can think of about him. This will change your perspective. Dwell on his strengths, and not his weaknesses. When he does something you think is stupid, forgive him. You will do stupid things too, and want him to forgive you!) CHOOSE to love, and commit to pray! 13. Don’t expect him to make you happy. Hopefully he will, but happiness is a choice. He can’t meet every need of yours, nor can he know what they all are. Only God can do that. Marriage is God’s design and you must try to fulfill His purposes in order for you to be truly happy. 14. Don’t ever betray his trust by not being honest or by hiding things from him. Relationships are built on trust. 15. Always encourage him when he wants to do anything to serve the Lord. Help him if you can. If you discourage him, he may lose that desire, and there will come a time when you will wish you had encouraged him to stay faithful to God. 16. Admire him, be thankful for all he does, speak well of him, and be his cheerleader. If you don’t, he will be vulnerable to the lady who DOES admire him. Give him time to do things he enjoys, and don’t begrudge him for it. 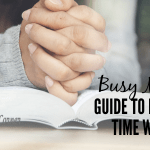 Find things you enjoy doing also, so you can stay busy when he is pursuing an interest of his. 18. If you find you don’t feel interested in him, unhappy, or unable to work through issues, do not even allow yourself to think about DIVORCE. You took vows before a holy God, and He has joined you together. No matter what happens now, you are in this for life. There’s no door out. 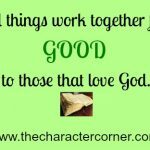 Realizing that will help you work through the hard times. 19. Guard your marriage and fight for it! The devil would love to destroy it, and you need to realize that any struggles you have with your husband are not really between him and you, but are a spiritual battle. Fight the enemy, not your husband! You two are on the same team. 20. Stay fun and do fun, crazy things together. Laughter is the glue that helps to hold a relationship together. 21. Communicate your needs and feelings. 22. Make your own family traditions and memories. Take turns talking. Let the other person finish, and wait for your turn—- no interrupting! When irritated by something he does or has done, ask yourself if it will matter in a week? Don’t stress over the things that really don’t matter! 25. Remember that out of all the girls he could have chosen, he chose YOU to be his wife. He chose to marry you and spend the rest of his life with you. With that came the responsibility of working and sacrificing to provide for you for the rest of his life! He willingly agreed to that responsibility because he loves you and wants to take care of you. This is great, Kathy! These are just the kinds of things I shared with my oldest 2 daughters when they married. What a blessing you are to your daughter, and your son-in-law. Thank you for sharing with us. Linda, thanks for your kind words! When I was laying in bed at night a lot of different thoughts came to mind that I wanted to share with her, but when I woke up in the morning I couldn’t remember half of them. So hopefully I gave her the most important things. Anything you want to add to it?